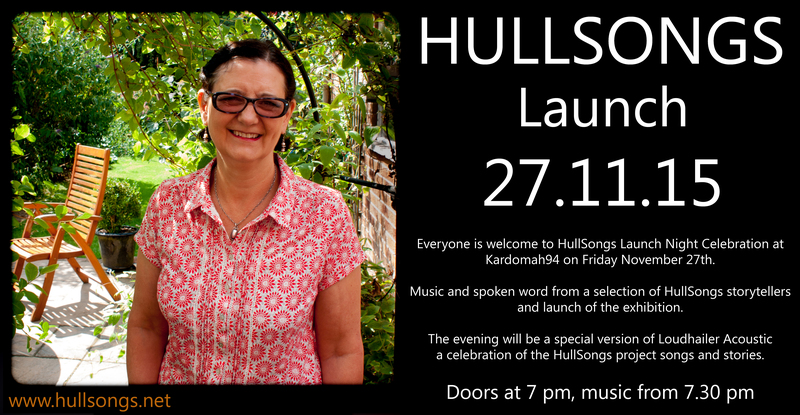 Music and spoken word from a selection of HullSongs storytellers including Catherine Scott, Graham Brady, Redeye Feenix and Crew, Alyx Tamminen, Katie Spencer, Jim Orwin, Vivian Querido, Karl Oakes, Graham Graham Beck, Jeff Parsons. 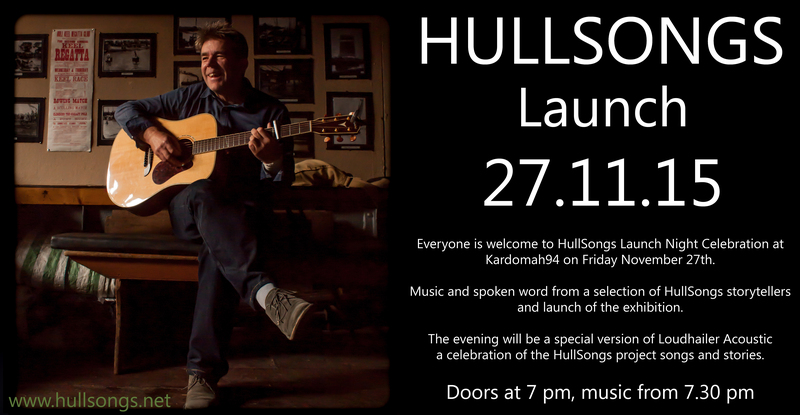 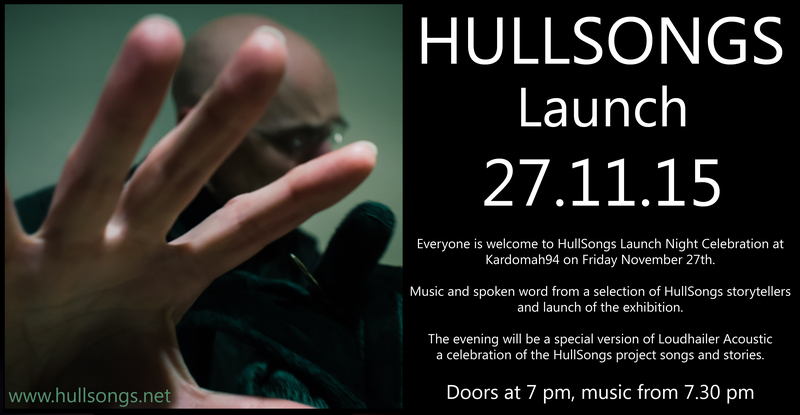 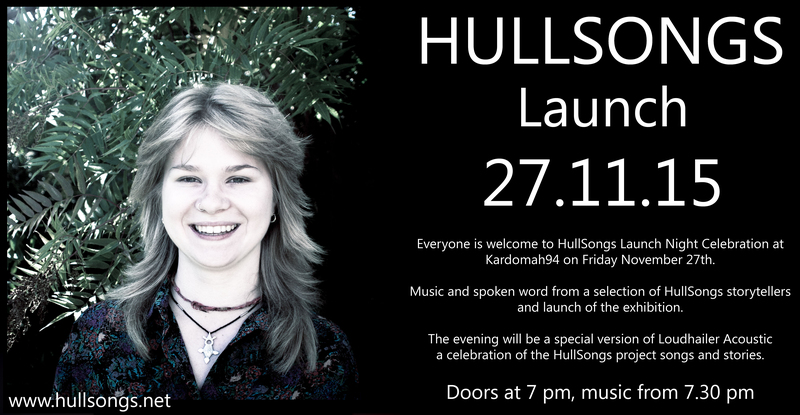 The evening will be a special version of Loudhailer Acoustic celebrating the HullSongs project songs and stories. 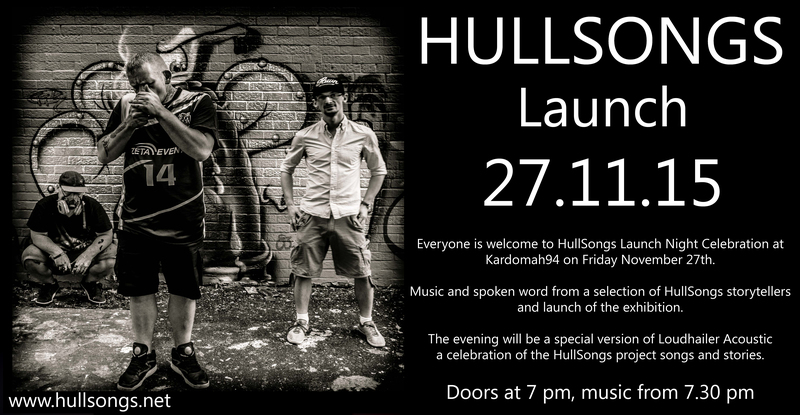 At Kardomah 94, 94 Alfred Gelder Street, Hull, HU1 2AN. 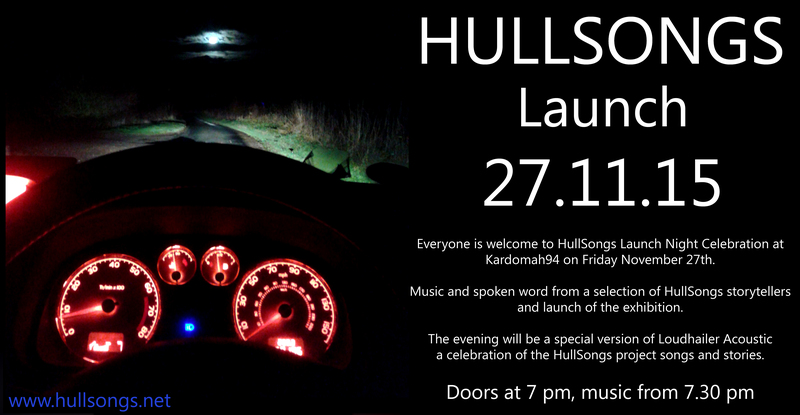 Doors 7pm, music from 7.30. 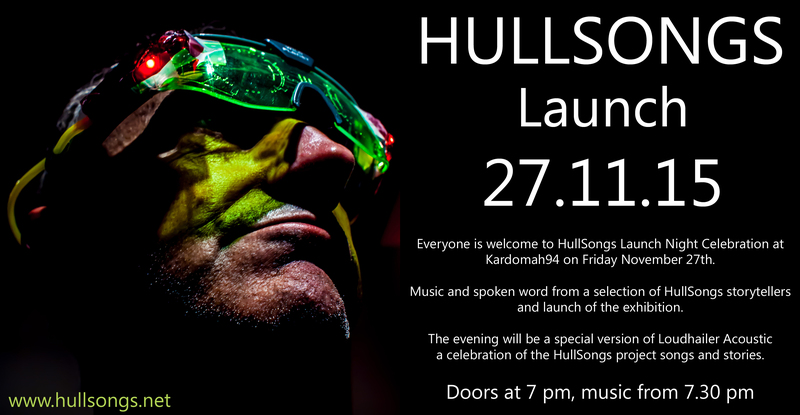 Plus HullSongs exhibition preview before it moves to Hull Central Library for December. 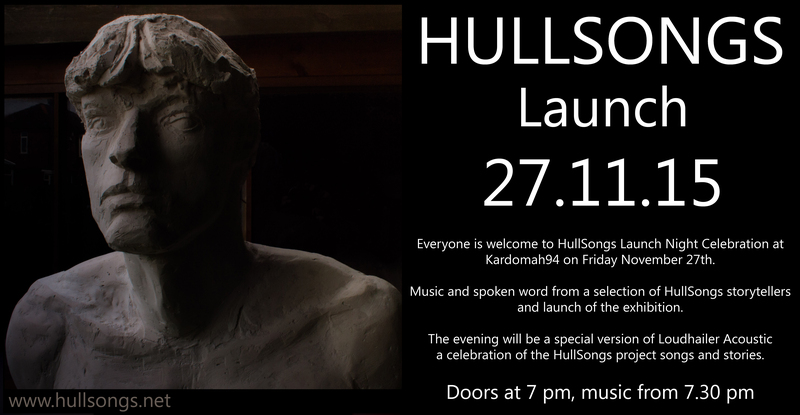 Music and Spoken word from a selection of HullSongs storytellers – Catherine Scott, Graham Brady, Redeye Feenix and Crew, Alyx Tamminen, Katie Spencer, Jim Orwin, Vivian Querido, Karl Oakes, Graham Graham Beck, and Jeff Parsons – plus exhibition launch. 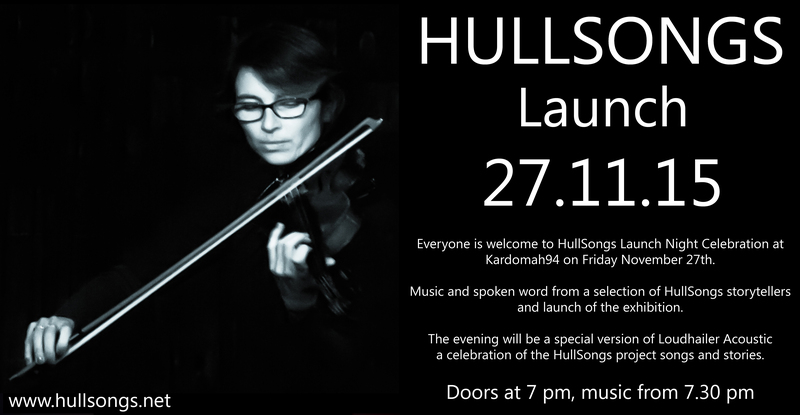 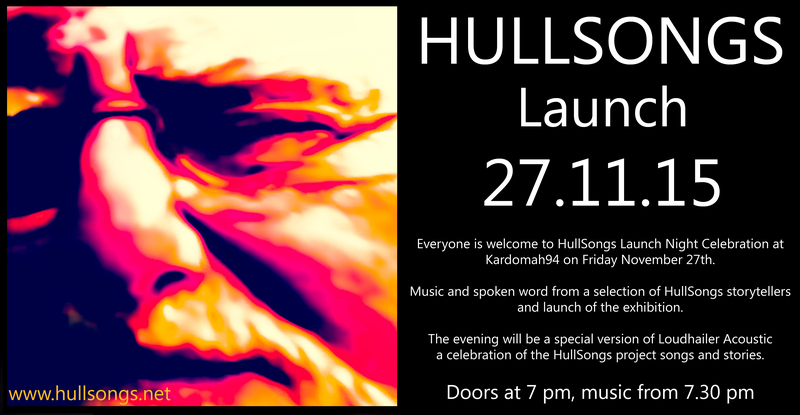 The evening will be a special version of Loudhailer Acoustic celebrating the HullSongs project songs and stories.